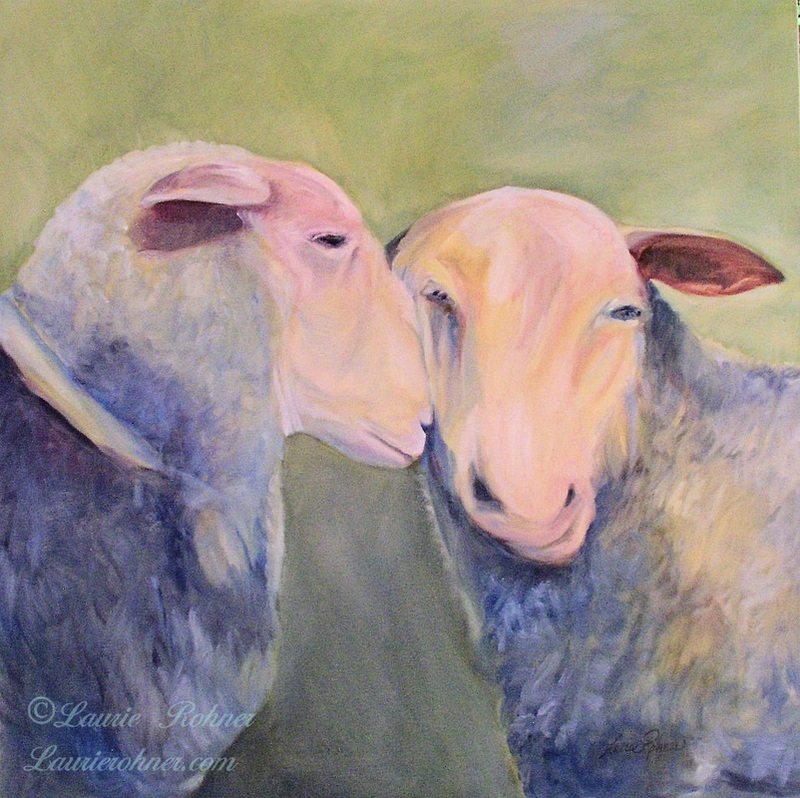 Contemporary animal portrait two sheep is an original art work by Laurie Rohner for Between The Weeds. Close look at my art of two sheep. I've got a secret, have you heard? Oil painting on canvas by Laurie Rohner. A contemporary animal portrait of two sheep. 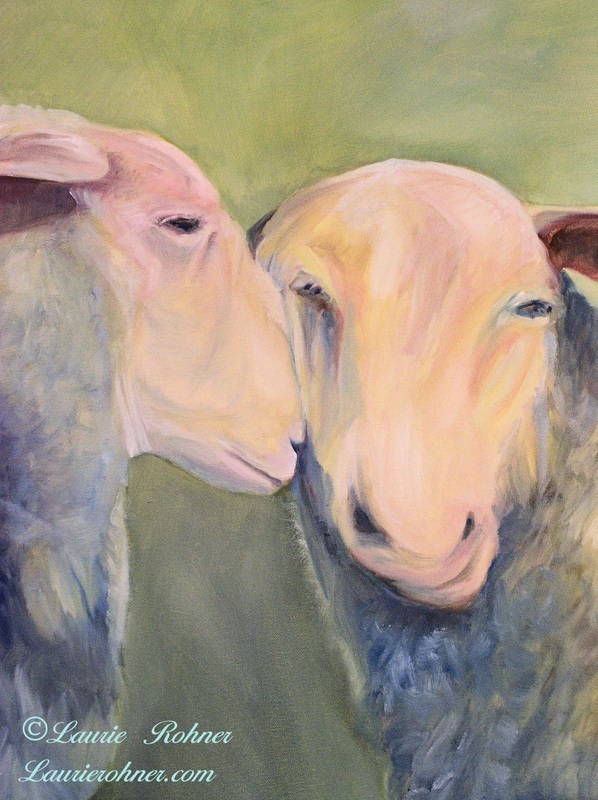 I like sheep and these two sheep are from a photo taken of a friends animals on their farm. I couldn't get to close because just off to the side was their ever watchful llama. Maybe that was the secret? What I like is the one sheep nozzles up against the others cheek pushing the folds up. The nose is hidden slightly by the excess of skin. Neither one seems to mind much like two friends sharing a bit of gossip. This is a nice sized painting and ready to hang anywhere. Title: I've got a Secret, Have You Heard? I used a Premier Professional Canvas for this artwork. The canvas is heavyweight, premium quality 10-oz. canvas. Hand-spliined to heavy duty stretcher bars for a tight and even stretch, perfect for frameless display. I use high quality oil paints and this art is varnished for added protection. The sides of my art are a continuation of the artwork.